Logic EaseFlex has been recently launched to replace Logic FlexiVet. Treat your dog to a high quality joint supplement early in life to help soothe active joints and support long term joint health. 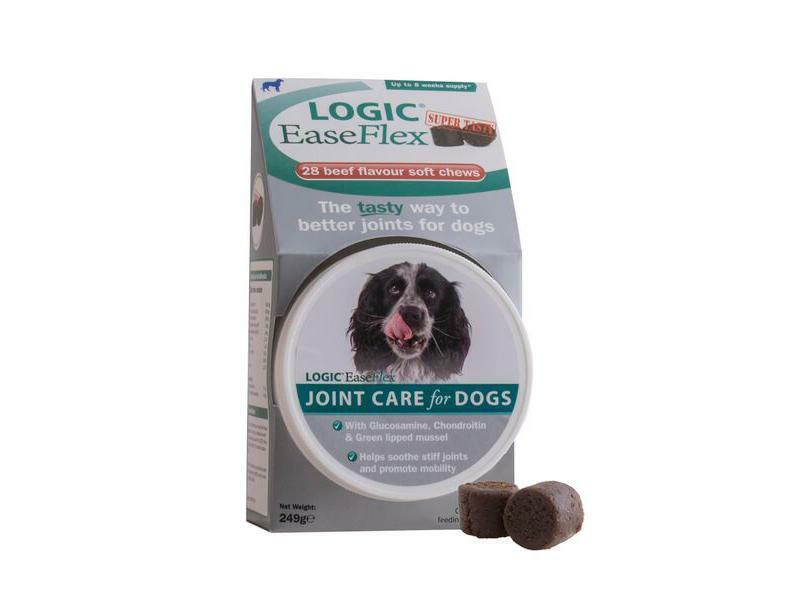 Logic EaseFlex for dogs is a tasty joint supplement that contains a high concentration of active ingredients specially designed to help support healthy cartilage and normal joint function. Chondroitin: A natural component which helps to maintain the elasticity of the joint cartilage and slow down its destruction by enzymes. Green Lipped Mussel: A high quality source of omega 3 fatty acids, known to support and maintain joint function. With its highly palatable beef flavoured soft chews, EaseFlex is the tasty way to keep bouncing! Ceva, the manufacturers of Logic Flexivet have launched an exciting, new and improved joint supplement, Logic EaseFlex to replace Logic Flexivet. It is SUPER TASTY and REALLY EASY to give. Your dog will love them and take them from you easily - it is like giving them a treat! The size of your dog will dictate how much of a chew they need daily. Ensures your dog is getting one of the best joint supplements available. Logic EaseFlex contains the same high quality ingredients as Logic Flexivet, glucosamine HCI, chondroitin and green lipped mussel with the addition of eicosapentaenoic acid (EPA) and docosahexaenoic (DHS). 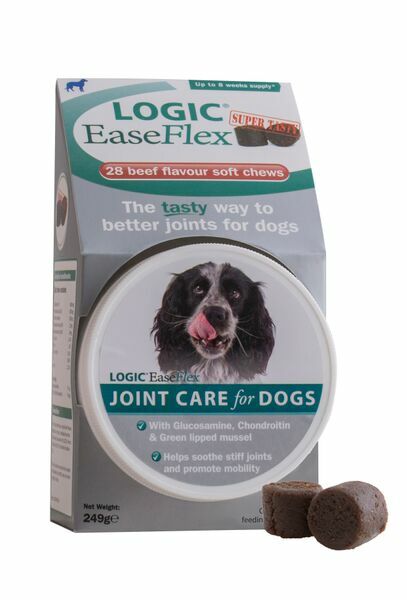 If you had a 20-50kg dog on Logic FlexiVet, when you change to Logic EaseFlex they will only need 1 chew a day (vs x2 Logic FlexiVet). There are currently no questions for Logic EaseFlex Dog - be the first to ask one!